Microsoft Office Picture Manager isn’t included in the new Office but you can use Word to edit photos. Word has many built-in photo editing features, so you might not need a separate program. You can read more below this video on how Doug uses the built-in tools to get pictures looking great in a doc. 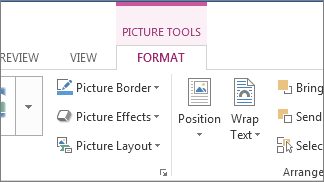 After you insert a picture in your document, click it, and then click the Picture Tools Format tab. In Word, you can choose color variations, crop, compress at different levels, and apply some special effects. If you still need more specialized features like eliminating red eye or straightening, the Microsoft Photos app is your best bet.